Always ahead of the curve, Andale Group has a solid background of proven performance and experience you can depend on. More than building on time and within budget, we adapt our construction solutions and resources to an ever changing industry, in order to better serve our clients’ developing needs. Clients can expect team-oriented management, along with services that include accurate pricing, creative value engineering, reliable scheduling, quality workmanship and stringent cost controls. Our devoted team of professionals includes seasoned project managers, superintendents, engineers, certified public accountants, and managerial staffs who are all dedicated to highest level of excellence in the industry. Get to know us! We are ready to serve and build. Daniel will ensure that the Project Team is exceptionally staffed & prepared with the required resources to accomplish the Project Goals. Daniel will also coordinate the Resources of our Estimating Department to provide the Design Team and the Owner with concise and accurate cost information so the Team can make well informed decisions. Mr. Azel will develop, implement and evaluate all operational strategies necessary to improve and enhance a project success. Daniel Azel has a BBA & MBA with over 15 years of experience in the real estate development field. Mr. Azel is the qualifier for Andale Group, LLC, and has over the years developed extensive experience in multiple construction/development markets including: industrial, educational, commercial, & retail markets. Mr. Azel, has worked directly on multiple healthcare development projects for large pharmaceutical firms including but not limited to Eli Lilly, Bristol Myers Squibb, and Glaxo Smith Klein. 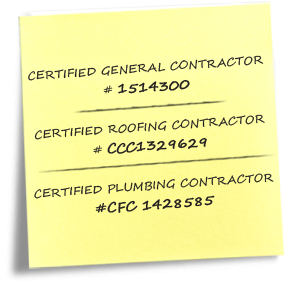 Mr. Azel has a broad range of operation experience and currently holds licenses as a State Certified General Contractor, State Certified Roofing Contractor, and a State Certified Plumbing Contractor. Responsible for planning, developing, and coordinating the safety and occupational health components for personnel, materials, equipment, and environments in order to achieve the maximum safety and maximum effectiveness for the company. Responsible for the implementation, management, supervision and evaluation of all activities. Works closely with the Owner and A/E, while monitoring & controlling the construction hand in hand with our on‐site superintendent to maintain the project on-schedule & on‐budget. Responsible for the day‐to‐day administration of the project both during design and construction. During the design phase, the Project Manager will coordinate the activities of all of our consultants, as well as with the client. During construction, the Project Manager will administer the contract with the client as well as performing all subcontract administration to ensure the timely completion of the project. Responsibilities begin with detailed involvement during the pre‐construction processes. The Project Superintendent also advises on issues of constructability, capabilities and availabilities of the local work force, on top of reviewing the construction documents for their integrity or any other issues. This team member effectively schedules, monitors and inspects all work form the commencement of the project to customer turnover at the completion of the project.